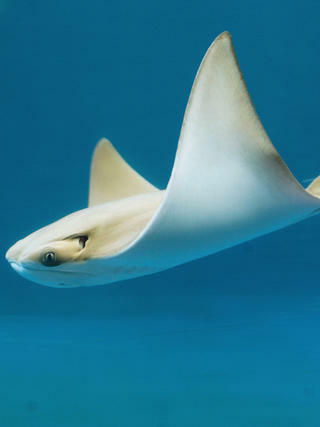 There are more than 1,250 species of cartilaginous fish—sharks and their relatives, the batoid fishes (including skates, rays, guitarfishes, and sawfishes) and chimaeras. These fishes play important ecological roles in the many freshwater and marine habitats in which they occur, and many species are culturally and economically important as well. While the conservation status of nearly half these species is poorly known, one-quarter are estimated to be threatened with extinction, and only one-quarter are considered of least conservation concern. 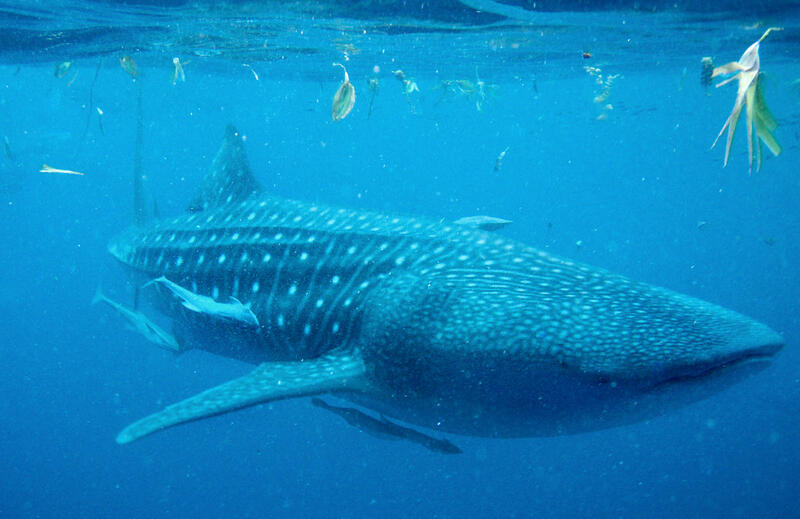 The primary threat to sharks and their relatives is overfishing. Increasing global demand for meat, fins, liver oil, gill plates, and other parts and products is driving overfishing and pushing entire families—such as thresher sharks, sawfishes, angel sharks, and freshwater river sharks and stingrays—towards extinction. Despite growing awareness of the vulnerability and depletion of sharks and rays , most of the world's shark and ray fisheries are unregulated, or only minimally managed, and threatened species remain largely unprotected and overlooked in national conservation planning. Prevent shark and ray extinctions and halt declines, so as to restore and strengthen ecological function, and continue to support well-managed fisheries. Reducing global demand for shark and ray products from problem fisheries. WCS has partnered with WWF, TRAFFIC, Shark Advocates International, the Shark Trust and the IUCN Shark Specialist Group to develop a Global Sharks and Rays Initiative (GSRI) to conserve the cartilaginous fishes. This initiative, and the associated 10-year strategy, Global Priorities For Conserving Sharks and Rays, has been made possible through the funding support of the John D. and Catherine T. MacArthur Foundation and the Disney Worldwide Conservation Fund. Around the world, we work in seascapes to monitor shark and ray populations and, in some cases, shark and ray fisheries landings, provide technical support to the design of marine protected areas and fisheries management regimes, and assist government agencies, fishers, and others to manage and conserve species and their habitats. WCS is an active contributor to the work of several international treaties that provide protections for sharks and rays. 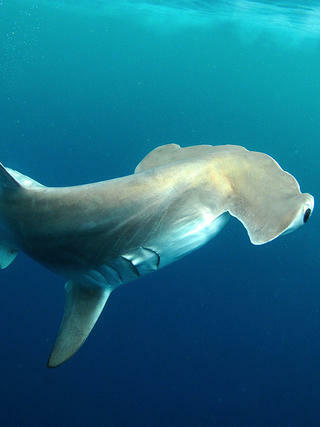 We have worked with many other NGOs and governments to secure trade controls for several shark and ray species under the Convention on International Trade in Endangered Species of Wild Fauna and Flora (CITES) and to promote protections and conservation actions for sharks and rays under the Convention on Migratory Species (CMS). We are also working with the Nairobi Convention to promote shark and ray conservation in East Africa. At the national level, WCS provides technical advice on government initiatives to protect threatened species, improve fisheries management, expand protected areas, and enforce species and fisheries laws. We also provide logistical and other support to government management agencies to enable them to be more effective. In Belize, for example, WCS is working with the Department of Fisheries to convene a national Shark Working Group to review the status and management needs of these species. In Gabon, WCS is working with government agencies and experts on a national shark and ray conservation strategy to guide actions for these species. Indonesia is one of the top shark and ray fishing countries in the world. We monitor shark and ray fisheries catches at two of the country's major landing sites to support management efforts, and provide data and other technical advice to strengthen government efforts to protect threatened shark and ray species. Through our Wildlife Crimes Unit, we assist government agencies in intercepting and prosecuting illegal fishing and trade in manta rays and other protected species. We are also working with fishers to explore alternative livelihood options. WCS's zoos and the New York Aquarium provide a unique opportunity to build a constituency for shark and ray conservation in the United States. The New York Aquarium is currently constructing a major new exhibit, Ocean Wonders: Sharks! which aims to build support for marine conservation generally and increase interest and support for shark and ray conservation at both the local and global level. New York Aquarium staff are improving our understanding of the migratory pathways and health status of our local sharks, including through collecting data off the Long Island coast which will be used to help promote effective fishery management and habitat protection policies here in the U.S.
Shark fins (and in some instances ray fins) are highly coveted to make shark fin soup, a celebratory dish in Chinese culture, while skate "wings" and shark meat are widely sold around the world as popular food items. We are working with other NGOs to identify what systems need to be put in place and how responsible consumers can help to ensure that trade in fins, meat, and other shark and ray products comes only from legal and well-managed fisheries.